With ski season here, we wanted to find out which is the best small SUV in snow. When considering how a model will fare in the snow, some of the key components are all-wheel drive, ground clearance, and tires. However, cargo space is also important, as you want plenty of space to haul all your essentials. Our vote for best small SUV in snow goes to the Subaru Forester. The Forester comes standard with Subaru’s highly regarded all-wheel drive (AWD) system. It also offers cargo room with midsize SUV models such as the Nissan Murano. In fact, Subaru bills the model as a mid-size SUV, even though it is priced as a compact. The Forester is also one of the best SUVS for tall people. The 2012 Forester has 8.7” inches of ground clearance, which is 2 inches more than the 2012 CR-V. The Ford Escape has 8.4” and the Nissan Rogue has 8.3” inches. While the Forester, with its starting price of $20,595, makes a compelling case for best small SUV in snow, there are several other standouts such as the Nissan Xterra with 9.5” of ground clearance. 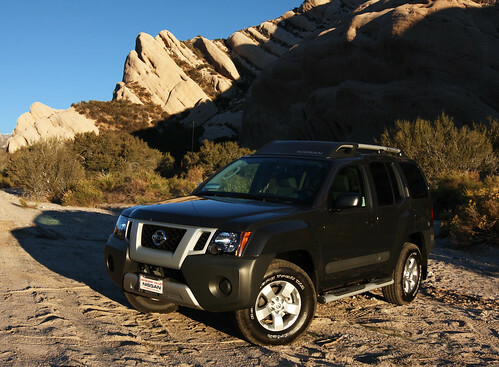 The Xterra also has a rugged interior, which makes tracking in snow and dirt less of a concern. Of course, other standouts are Jeep models – the Wrangler, Liberty, and Compass, with their Jeep Trial Rated ability. One of the primary drawbacks of the other models listed are their fuel economy. Xterra gets EPA-estimated fuel economy of 15-mpg city and 20-mph highway with AWD. The Wrangler and Liberty don’t fare much better, while the Compass features the same engine it has used for 6 years. While the Forester still uses the same 170 horsepower four-cylinder Boxster ® it has used for years, the model does get fuel economy of 21/27. This is significantly better than the Wrangler, Patriot, and Xterra, but far short of the 22/30 rating of the new CR-V. 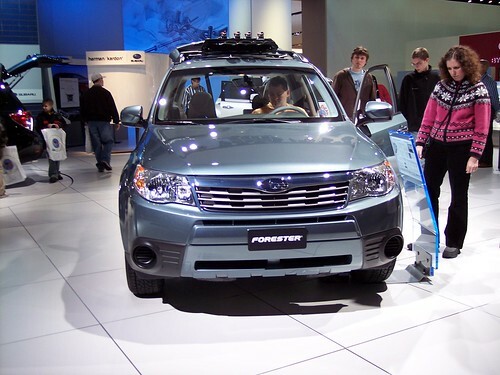 The Forester is also one of the safest 2011 SUVs. If your budget permits it, the all-new Land Rover Range Rover Evoque, with its $43,995 starting price, can make a strong case for best small SUV in snow. The model, which recently won the Motor Trend 2012 SUV of the Year award, features full-time intelligent AWD with electronically controlled Haldex center coupling and Land Rover terrain response. The larger Jeep Grand Cherokee is also an excellent choice in the snow. If you are venturing out in winter conditions, do not allow all-wheel drive to provide a false sense of security. Too many drivers end up in ditches or in accidents because they were driving their SUVs too fast for the conditions. Having the proper winter tires is also key, even if you have AWD.